Regardless of the specific definition that is chosen, strategic sourcing is a process that is designed, and employed, to maximize the value of each purchase made by the company –value that can come in the form of savings, value-add services, risk-minimization, or better supplier relationships. More importantly, it is an evolving process that matures and adapts as the needs of the organization change. 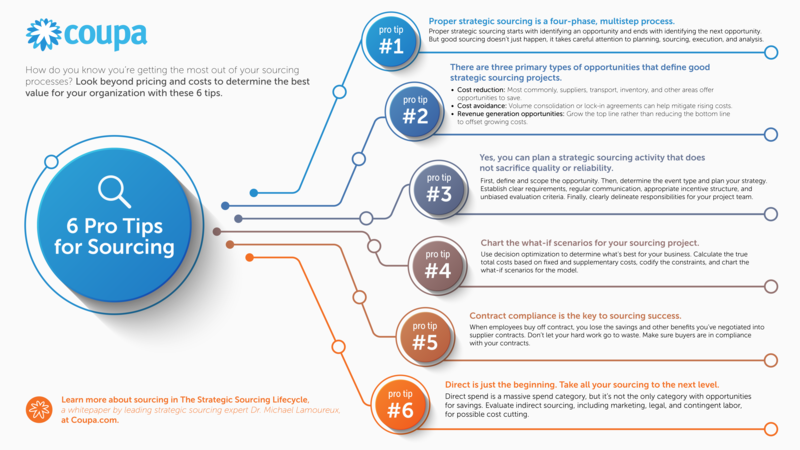 To download the infographic, "6 Pro Tips for Sourcing" click the image below. To download this whitepaper, please fill out the form below.